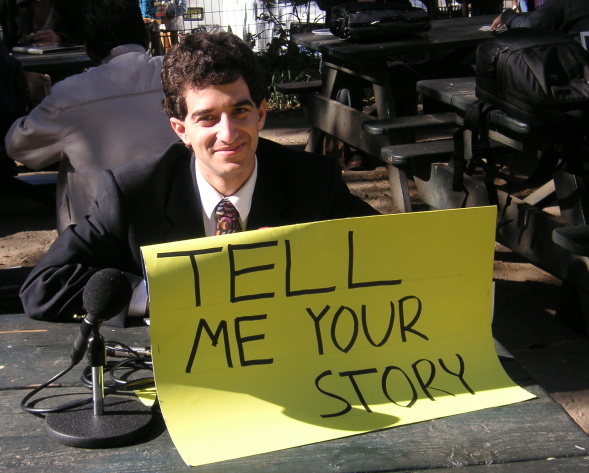 The idea behind “Tell Me Your Story” was taken from an episode of WGBH Morning Stories. Quite simply, it’s me, my recording equipment, a public place, and a sign that says “tell me your story”. People come up to me and talk, and I record it. Check back here for future dates and locations of story collection. Please contact me with any questions or comments. Podcast will be updated on Mondays.